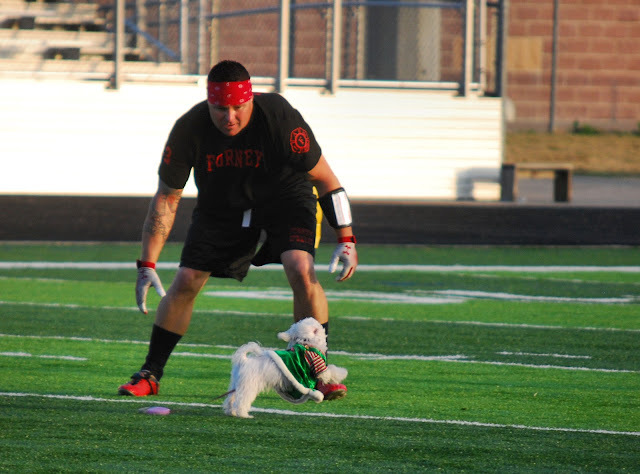 Saturday after the parade was the annual Forney Fire vs Terrell Fire flag football game for Toys for Tots. Here are a few shots from the game. Both teams played well, the final score was 54-45 Forney, but the real winner was the kids.